The 2019 Legislative Session ended with two significant Oil & Gas bills being sent to Governor Michelle Lujan Grisham to sign into law. With the Governor's expected signatures, regulation of the Oil & Gas industry will undergo a paradigm shift with the Oil Conservation Division eventually having new authority fine producers civil penalties for violations. The new authority will not be immediate, but will be in place after a rulemaking hearing scheduled for later this year. See our final summaries on the Administration Penalty bill and other bills below. Most of the language from a negotiated version of the SB186 Administrative Penalties Bill got amended into an existing Produced Water Bill (HB546) last week. The new, final combo bill (Produced Water & Administrative Penalties) got passed and has been sent to the Governor to be signed into law. Under the language of the amended HB546 bill, the Oil Conservation Division (OCD) will have new administrative authority to issue civil fines for violations, including potential fines for violations that occur beyond the scope of knowingly and willingly on the part of the operator effective Jan. 1, 2020. Once the bill is signed, the OCD will hold a rulemaking hearing later this year to create a schedule of penalty fee amounts for the range of potential violations. A new penalty fee schedule should dictate that minor violations receive smaller fines and help ensure some consistency of enforcement from among various inspectors. Thus, after Jan. 1, 2020, the OCD will have authority to fine an operator up to $2,500 per day per violation, and up to $10,000 per day after 30 days. An operator can contest a civil penalty with the Oil Conservation Committee. If a single violation accrues to $200,000, an operator will be given the option to appeal the fine to the district court where the violation occurred in order to ensure an impartial ruling. PLEASE NOTE: The amended HB546 bill had some last minute language changes that are NOT reflected in the linked versions in this newsletter. We are still awaiting a final, clean version to be released and will upload it to our IPANM.com website as soon as its available. As last week began, SB186 Administrative Penalties remained in the Senate Finance committee. As Senate Finance Committee Chair Sen. John Arthur Smith (D) delayed the hearing, bill sponsor Sen. Richard Martinez (D) decided to circumvent the Senate Finance committee by pulling the language of SB186 and adding it as an amendment into another oil and gas bill (HB546 Produced Water) in another committee, Senate Judiciary. Thus, HB546 (which IPANM had previously supported) morphed into both a produced water bill AND an administrative penalties bill. This new amended bill was heard late Tuesday afternoon in Senate Judiciary, which was more favorable for the bill sponsor and the administration to pass to the Senate floor. The amended HB546 bill had the support of to OCD, environmental groups, all industry majors, NMOGA, and many larger independents. IPANM stood in lone opposition. IPANM made strong, valid arguments against the bill during Tuesday's committee hearing consistent with our position throughout the 2019 session. However, the amended HB546 passed unanimously through the Senate Judiciary Committee. On Wednesday evening, HB546 passed the Senate Floor on a vote of 32-6. Republican Senators Gay Kernan, Steve Neville, Bill Burt & Bill Sharer voted in opposition. Democrat Senators Joe Cervantes & Sedillo Lopez also voted in opposition, with Sen. Lopez voicing concerns about the Produced Water aspects of the bill. On Thursday, the House Floor rejected the Senate amendments, which pushed HB546 into concurrence discussions between the House and Senate. Behind-the-scenes negotiations cleared up some bill language discrepancy issues between the two chambers. On Friday, a formal Conference Committee on HB546 led to final agreement and the eventual passage of final bill language. The HB546 Produced Water & Administrative Penalties Bill is now in the Governor's office awaiting her signature. IPANM stood in opposition to this bill because it essentially gives the OCD the authority to fine civil penalties to operators for well violations. OCD will now have the administrative penalty authority it previously had up until 2009 (before MARBOB ENERGY CORPORATION v. NEW MEXICO OIL CONSERVATION COMMISSION). HB546 gives OCD the needed legislative authorization to resume penalty authority beginning in 2020. IPANM's major concerns has always been that the Administrative Penalties Bill allows OCD to fine for violations beyond the scope of willingly and knowingly. Our concern is that smaller, independent producers could face exhorbitant fines for circumstances beyond the control of the operator that would threaten solvency without an option for recourse. IPANM was able to negotiate within the structure of a stakeholder group made up of NMOGA, industry representatives, the Oil Conservation Division, environmental groups and the bill's sponsor. These negotiations did eliminate initial drafts that gave OCD authority to bring 3rd Degree Criminal Penalties against operators. The negotiations also led to a reduction of fines thresholds down from $15,000/day ($30,000/day after 30 days) and no option to contest a fine in district court to $2,500/day ($10,000/day after 30 days) with an option to contest a fine in the district court where the violation occurred if the fine exceeds $200,000. Perhaps overshadowed by the new administrative penalty authority, HB546 clears up regulatory jurisdictional issues related to produced water. HB546 simplifies the ability for operators to build Produced Water recycling facilities in the basins. 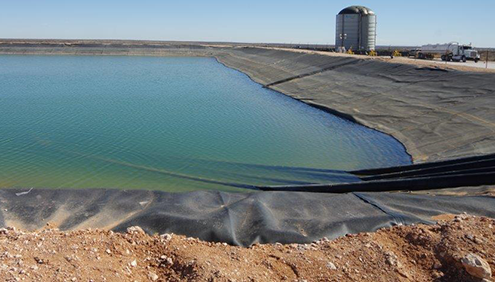 IPANM believes these provisions will increase opportunities for operators to reuse produced water in oilfield production. This could eventually cut down on fresh water use and associated costs. As we reported last week, the House Energy & Natural Resources Committee (HENRC) Chair put a companion version of an Administrative Penalties bill, HB680, up for a hearing on Tuesday morning. However, with the fast moving changes on the Senate side which led to the amended HB546, HB680 was pulled from the agenda not heard on Tuesday morning. SB553 Oil Conservation Division fees cleared both houses and and has been sent to the Governor for her signature. Once signed, operators will face new fees for new drilling permit applications and other actions in the Oil Conservation Division. 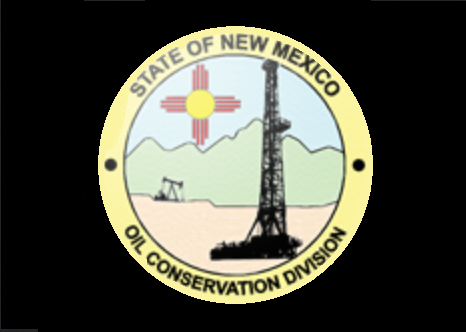 The schedule of fees includes a new cost of $500 to file an Application for Permit to Drill on state land in New Mexico, and other associated fees for OCD services. The bill does earmark the use of the funds generated by the fees to go back directly to OCD to update its OCD online software and services. Coming back to impose a new fee on the very industry that is responsible for the $1.2 Billion budget surplus is tough pill (and a tough BILL) to swallow. IPANM supported a general fund budget increase for the OCD. However, when it became clear that OCD would not get the budget they requested, SB553 was introduced to make up the difference. It was difficult for IPANM to argue against this new fee given the substantial number of new APDs creating a much higher workload for OCD in recent years. However, IPANM stood in opposition to these new fees on principle, as they can easily been seen as a new tax for the Oil and Gas industry. The only good news from SB553 was the insistence of industry to ensure that money raised by fees goes directly back to OCD for improving efficiencies within the division, specifically for online software upgrades and service. IPANM will be closely tracking the use of fee revenues to ensure that operators get value for these fees. BLM's APD fees are over $10,000 per application. 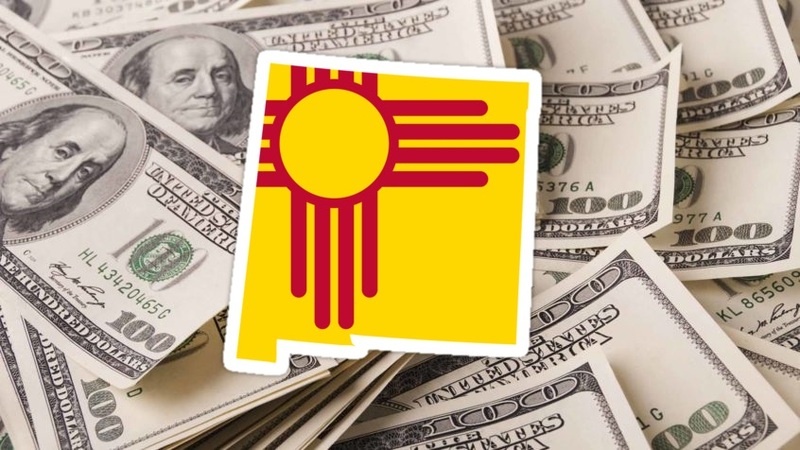 New Mexico's new fee will start at $500 per application. This is comparable to other surrounding states' fees. However, since the actual fees were written into the SB553 bill, they cannot be increased without legislative authority in future years. Thus, these fee rates SHOULD be locked in for at least a few years without any increase. A final, clean version of a compromised HB6 Tax Reform passed the House and Senate floors in the final 24 hours of session. The final vote to approve from the Senate floor passed with just 15 minutes to go in the 2019 Session. The actual final language of HB6 is not yet posted in full, but check back to this webpage for an updated copy to be uploaded sometime later this week. HB6 Tax Reform was more of a Tax Increase. Considering the fact that there were more costly tax increases proposed, HB6 could have been a lot worse. This bill will certainly impact independent producers depending on how their businesses are set up for tax purposes. HB398 died in a House committee, and the Senate companion SB500 made it through one Senate committee before stalling. 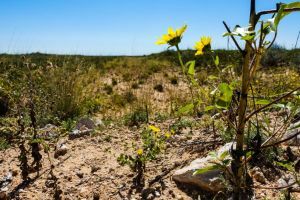 The Royalty Bills sought to raise state royalty rates to 25% on new leases on premium tracts in New Mexico. These bills were pushed by the new State Land Commissioner Stephanie Garcia Richard as part of her campaign promise to raise royalty rates. HB398 died in its first committee hearing on the House side during Week 5 of the 2019 Session, as we chronicled in the Week 5 Edition of The Independent. Industry was united in opposition to increasing royalty rates throughout the 2019 Session. The arguments against royalty increases were further enhanced by this non-partisan, independent study, released early in the 2019 Session. The defeat of HB398 and the stall of SB500 represent definite wins for industry. However, we do expect these bills will be reintroduced in future sessions. State Sen. Sedillo Lopez's SB459: Moratorium on Hydraulic Fracturing made it no further than a single, abbreviated Senate Conservation committee hearing with no action. This bill would have never gotten through this session. However, the mere fact that it was introduced sent the wrong message to operators. The movement by progressive, environmental groups to kill the Oil & Gas industry in New Mexico is alive. This bill will continued to be introduced each session moving forward and will embolden opponents of our industry. HB610 directs the New Mexico Workforce Solutions Department and Energy, Minerals and Natural Resources Department to promote programs to support women in the Oil & Gas industry. 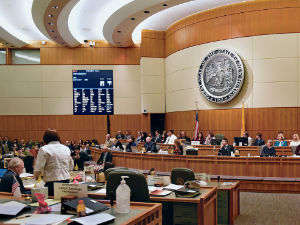 Among the actions called for in this bill, the state would undertake a study to collect statistical data on the number of women employed in the oil and gas industry in New Mexico by ethnicity and occupation and publish a summary of the findings. HB610: Programs for Women in the Oil & Gas Industry passed both houses unanimously with IPANM support and will go to the Governor for her signature. The Senate Floor passed HB610 with eight minutes to go before the close of the 2019 Session. While this would not be considered a major bill, it does have significant value to attract more women into the Oil & Gas industry and could be a springboard for future, dedicated state Oil & Gas programs for women. The HB206: Environmental Review Act Bill stalled in its second House Committee. Dozens of groups including all oil & gas trade associations and individual companies, the mining industry, the dairy industry, economic development boards, local & county municipalities, and small business owners all made public comments in opposition to this bill. Even with all of that opposition, HB206 did pass 8-5 (on a partyline vote) with no recommendation through its first committee, House Energy & Natural Resources Committee (HENRC). HB206 would have essentially created a "NEPA" process on the state level, adding many additional layers of regulatory review and public hearing(s) for oil & gas well drilling permits and/or other already regulated processes. The HENRC hearing was a microcosm for the overriding theme of the 2019 Legislative Session. Progressive legislators who represent environmental groups are pushing for increased regulatory power to effectively slow down, if not outright kill, our industry regardless of the record state revenues from Oil & Gas production. This bill will return next session. Coming into 2019, one of the major questions facing industry revolved around how Governor Lujan Grisham would push for a new Methane Rule. It became formal when the Governor issued "EXECUTIVE ORDER ON ADDRESSING CLIMATE CHANGE AND ENERGY WASTE PREVENTION" on Tuesday, Jan. 29, 2019. A full summary of this order, what it means, and how IPANM will respond can be found in our email to members in late January. There was not a single Methane Rule bill legislatively introduced this session. A new Methane rule now becomes the biggest issue facing IPANM and our members in 2019. IPANM intends to be closely involved in the stakeholder process, and is already in discussions with both the New Mexico Environment Department and Energy, Minerals and Natural Resources Department about that process. 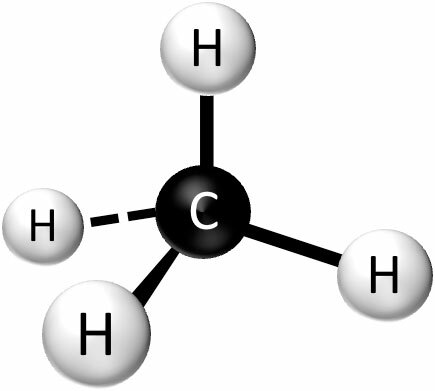 If you have an industry expert in Methane, please contact IPANM President John Thomas as soon as possible to be added to our IPANM Methane Committee. IPANM maintains that Methane rule creates problematic costs, in particular for small producers who own stripper wells. Costs associated with mechanical upgrades to older wells could be greater than the expected oil production revenue from a still productive well. This circumstance could lead to the premature shutdown wells, leaving behind resource waste and state revenue earnings. Furthermore, such well shutdowns threatens the operational solvency of smaller producers. As this rule will be promulgated administratively, there is little IPANM can do to stop it. However, with constructive input during the upcoming stakeholder process, we might be able to push through important components to protect independent producers. We will see how that process evolved and we will continue to update our members. of associated bills that could impact independent producers. (Member Login required). 1 a.m. to 2:30 p.m. Copyright © 2019 Independent Petroleum Association of New Mexico, All rights reserved.